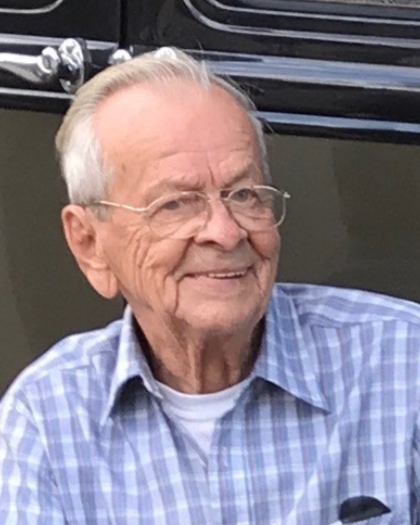 Mr. Harry F. Jadach, 91, of St. Clair Shores passed away December 14, 2018. He was the son of the late Frank and Sophia Jadach and the beloved husband of Wanda Estelle Jadach who proceeded him in death in 2011. He was the loving father of Larry (Carol) & Tom (Leslie); grandfather of six grandchildren and eight great-grandchildren. Harry served in the US Army during World War II. Visitation will be from 2 pm to 9 pm Thursday, December 20th with a Scripture service at 7pm at Bagnasco & Calcaterra Funeral Home, 25800 Harper Avenue, St. Clair Shores. Harry will lie in state Friday, 9:30 am to 10 am with Mass at 10 am at Our Lady of Hope Catholic Church, 28301 Little Mack, St. Clair Shores. Interment at a later date at Great Lakes National Cemetery, Holly, Michigan.